At Multi-line Insurance Agency we are continuously working to provide the individual coverage you require. When it comes to protecting your auto, home, business and family, don't leave it up to chance, or fly-by-night brokers. At Multi-line Insurance Agency we take pride in our business and strive to be relationship specialists providing you with the total insurance solution for all your needs. Being insured with the best has its advantages. Please browse our services and feel free to call us with any questions. 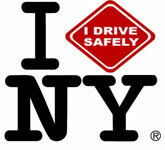 Join the growing team of I Drive Safely. Become a Defensive Driving Instructor . Make money, Save money, Save lives.